The cinéma programme at the Institut français d’Ecosse screens a new film every Wednesday at 2:00pm and 6:45pm. These events are free, but for members only. We invite you to book early and if you are not yet a member of the Institut français d’Ecosse, we invite you to join. 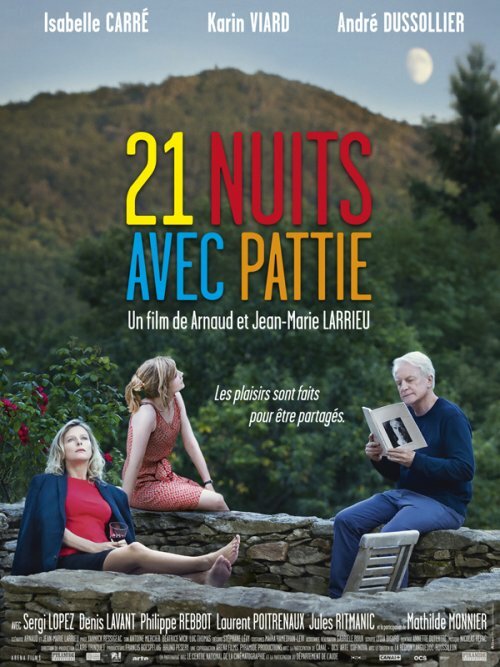 Our film this week is 21 nuits avec Pattie by Arnaud et Jean-Marie Larrieu. The screening will be followed by a post-show discussion led by Luc Lavacherie, head of programming at Gallia Théâtre Cinéma in Saintes (Charente-Maritime), a member of the Association Française des Cinémas d’Art et d’Essai (AFCAE), and a member of Cinémas Indépendants de Nouvelle-Aquitaine (CINA). He often writes reviews about film.